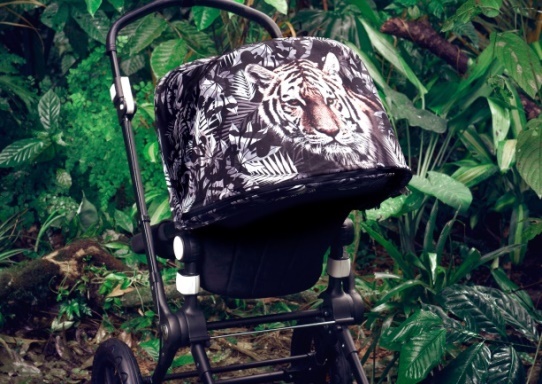 Bugaboo has joined forces with Australian label We Are Handsome to create a range of stroller and luggage accessories that celebrate the spirit of adventure. This collaboration brings together two brands that are fiercely passionate about design. The Bugaboo by We Are Handsome collection is iconic and instantly recognizable and underlines both brands’ love for travel and creativity. Since their launch in 2009, We Are Handsome has redefined the norms of swim and active wear with daring designs and bold colour palettes that celebrate natural beauty. The active, adventurous culture has inspired a worldwide cult following including Beyoncé, Rihanna, Katy Perry, Doutzen Kroes and Gisele Bündchen. Bugaboo was excited to work with the designers behind We Are Handsome to explore their mutual obsession with travel, creativity, and design - plus a shared passion for disrupting existing categories. Mothercare for a limited period from November 2017.